December 29, 2015 | ProgressTH There exists sun-scorched, empty, forgotten wastelands ... not in some distant desert, but among the uppermost regions of our urban cityscapes. Upon our rooftops. Travel vertically in any city and look down, and you will see just how empty, forgotten, and unused these wastelands are. A few brave souls have attempted to colonize these regions, with gardens, with utilities, even with power producing solar panels. And as this gradual process of colonization progresses, it could help change the very nature of the cities that exist below it. There have been a lot of proof-of-concept projects utilizing roof space, but the most successful ones are those that actually incorporate permanent business or personal motivations, and have survived, even thrived since their inception. Among Singapore's urban sprawl, there is the ComCrop project. 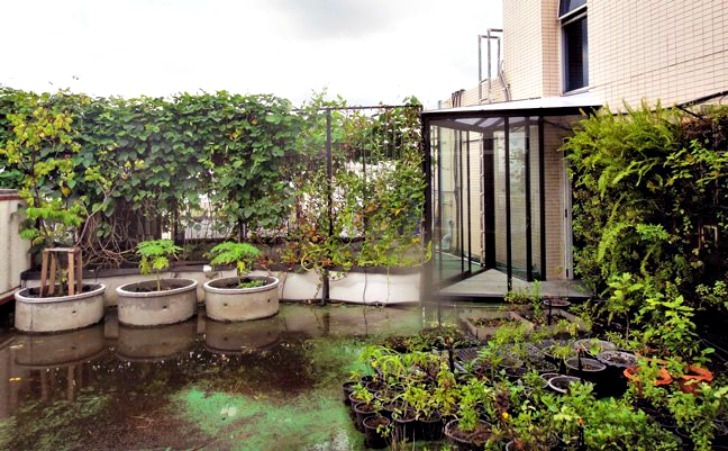 We have followed it for years now on Facebook, watching their progress from an experimental garden to a full-fledged business model that produces food on Singapore's rooftops and sells it to local restaurants below. They use a variety of different methods to grow a growing variety of food, but most importantly they have built up a community of enthusiastic people to help participate. Another use of rooftops is the production of power. Especially in warmer climates, rooftops are baked for hours a day in hot, unrelenting sun. The rooftops, often made of concrete, absorb this energy and transfer it to unfortunate people living inside the buildings not only throughout the day, but continuously throughout the night, long after the sun sets. To compensate, inhabitants usually find themselves running air-conditioning on and off, day and night. Putting up solar panels absorbs and makes use of this energy, converting it into electricity where it can be used to reduce energy drawn from the main grid, or stored in batteries and used to provide power to the building in stead of the main grid. It is becoming increasingly common to see solar panels go up on rooftops both in urban and rural settings, all around the world. 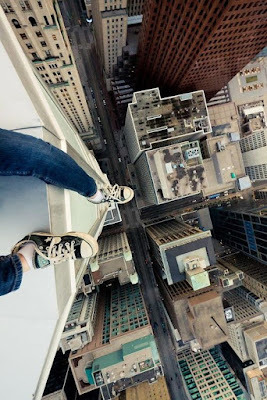 As this technology continues to go down in price, and increase in usability and efficiency, it will find its way onto many more rooftops in the near future. Rooftops are forgotten for a reason. It usually takes extra effort to go up on a rooftop, baked in the sun, and with nothing up there to go up to in the first place. It is a "chicken and the egg" scenario. There is no reason to go up there, so nothing ever is done up there to give you a reason to continue going back up. Modern life is for better or worse, very fast-paced, and people have little time or patience for large projects they have to approach from scratch. Rooftop gardens and solar arrays may be cropping up, but the knowledge and technology for others to follow suit still is not yet very accessible. 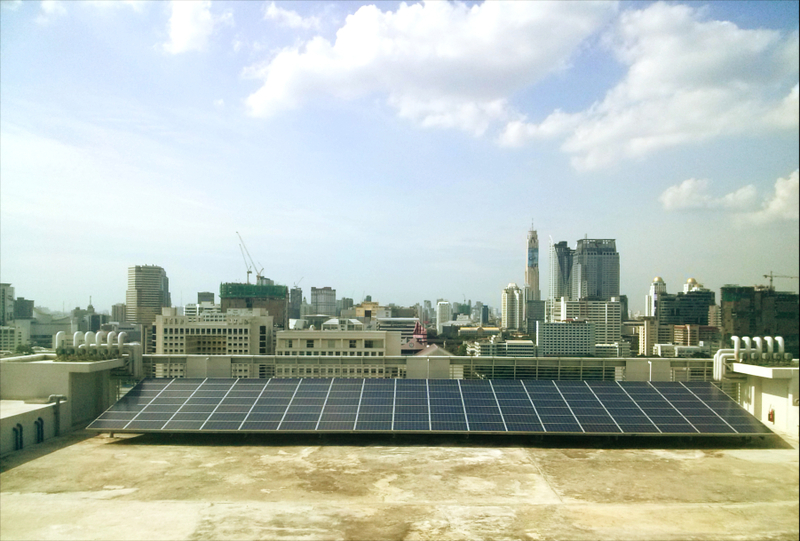 Chulalongkorn University in Bangkok has created a solar rooftop as part of its on-campus localized smart grid. Utilities usually are not present on rooftops. So even if you did create a garden, the lack of water or electricity to run automated systems would create an additional obstacle. Carrying buckets of water up and down stairs every day amid your already busy schedule could become tiresome very quickly. This is where the concept of "colonizing" your rooftop comes in. Like colonizing another planet, you have to bring the necessities with you, and in a way that makes them accessible in what is otherwise a barren wasteland. Setting up a small solar powered system to provide power for an automated garden may be a good first step before investing in a solar array to power an entire building. The presence of electricity on the roof allows for automated irrigation and monitoring systems that can give you alerts when water reserves run out, or if for some reason, garden beds are drying out. It will take designers and makers to create easy-to-use, affordable, opensource, and modular systems that can make this process easier for ordinary people to set up and maintain.When these systems and accompanying applications are in place, we predict a blossoming of rooftop usage across any given city. Kasetsart University, Bangkok, has many agricultural projects on display across its campus including this rooftop garden constructed using cement pipe sections and cement fiber boards for raised garden beds. We look at projects like the opensource FarmBot. 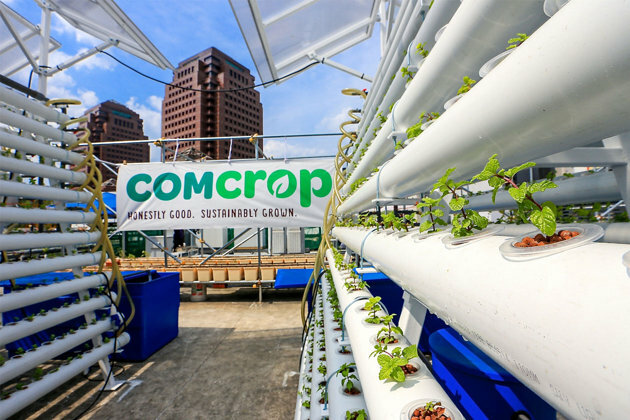 It may seem (so far) impractical for large-scale farming, but it could be useful in people's backyard gardens, and if solar power and even atmospheric water generation is included, could make the perfect system for growing food on your rooftop. You may not want to carry buckets of water up and down stairs everyday to water your garden, but going up to the roof once a week to check on things and harvest your groceries, is certainly easier and more fulfilling than going to the store and shopping for them instead. There is a good chance someone at your local makerspace is already working on an indoor garden or automated garden that could easily be adapted for use on rooftops. 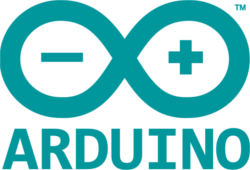 If you are interested in this, start doing a little research and finding out who in your community is already working on it, and maybe you can help them out. In cities in particular, where space is always needed, tearing down the barriers that have left our rooftops neglected for so long could help us live more sustainably, and more prosperously. And once those barriers are taken down, there will be a race upward, so making sure you are the first one there might be a good idea!